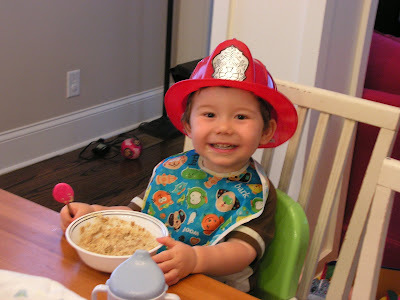 Asher has been pretending to be a firefighter for many weeks now. I'm not even sure what sparked his interest. 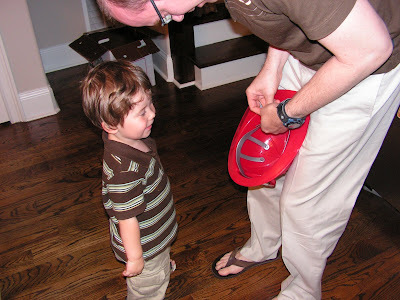 It seemed like every day he would ask for David's toboggan cap and a pair of "mits" (mittens) to put on and from there he would transform into a fireman. 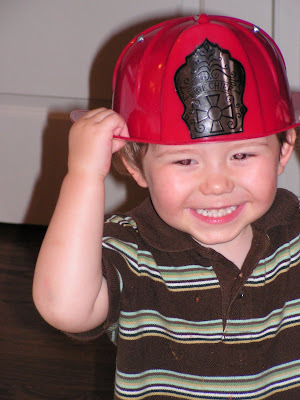 Well, those days have come to and end thanks to David's mom finding a consigned firefighter's helmet. Here is the sweet boy waiting so paitently for David to size it to his head. Looks like a good fit! The helmet hardly leaves his head. He wanted to sleep with it on the first night he had it but David convinced him to lay it beside him in bed. Now he frequently wears it while eating. At least we are always prepared if the fire bell should go off. Asher is so precious! I just love that last picture! Elijah has been in a firefighter stage lately, too. He is always looking for books about fire trucks at the library. I have been meaning to call you! It's been a busy few weeks. 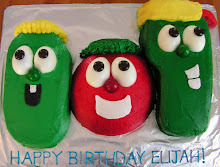 Elijah and I have been battling colds, but we hope to be well soon. 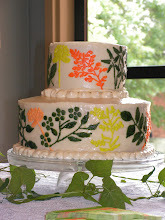 I really want to plan a time to get together!